A Hong Kong court is expected to deliver a ruling on the fate of nine pro-democracy political figures today. The accused have been charged for their participation in Hong Kong’s 2014 Occupy protests, a 79-day civil disobedience movement against proposed electoral changes that required political candidates to receive preclearance approval from the Chinese Communist Party (CCP). The nine have been indicted on a number of “public nuisance” offences, each carrying a maximum prison sentence of seven years. A number of domestic and international critics are worried that Hong Kong is losing the democratic freedoms it has traditionally enjoyed while becoming increasingly integrated into mainland China. Indeed, in recent years, Beijing has quietly stifled traditional avenues of democratic expression. A number of pro-democracy booksellers and media executives have mysteriously disappeared, and Beijing now requires oaths to the CCP as a condition of office. It is unlikely that Hong Kong’s citizenry will let its quasi-democracy die quietly. In the likely event that the nine indicted protestors are convicted, protests can be expected across the city. 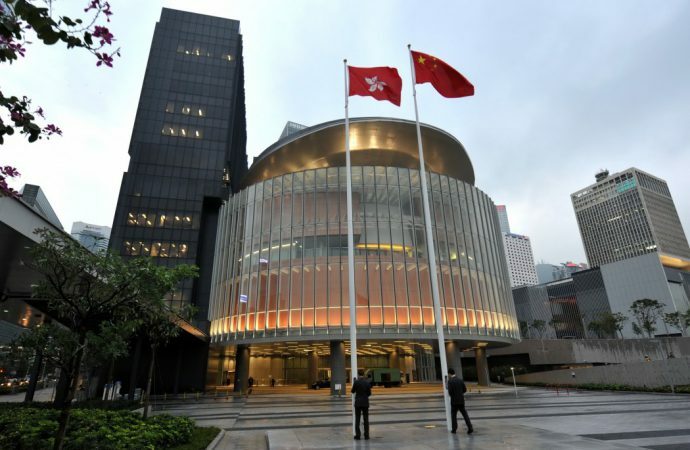 However, given Hong Kong’s economic dependence on the mainland and Beijing’s increasing political power in the territory, it appears unlikely Hong Kong will hold out long against Beijing’s agenda.